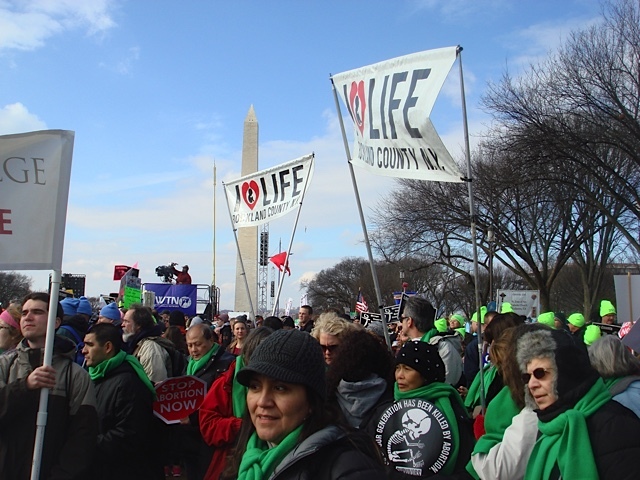 An estimated 200,000 defenders of life traveled to Washington, D.C., on Thursday, Jan. 22., to mark the 42nd anniversary of the Supreme Court’s Roe v. Wade decision, which legalized abortion in America in 1973. 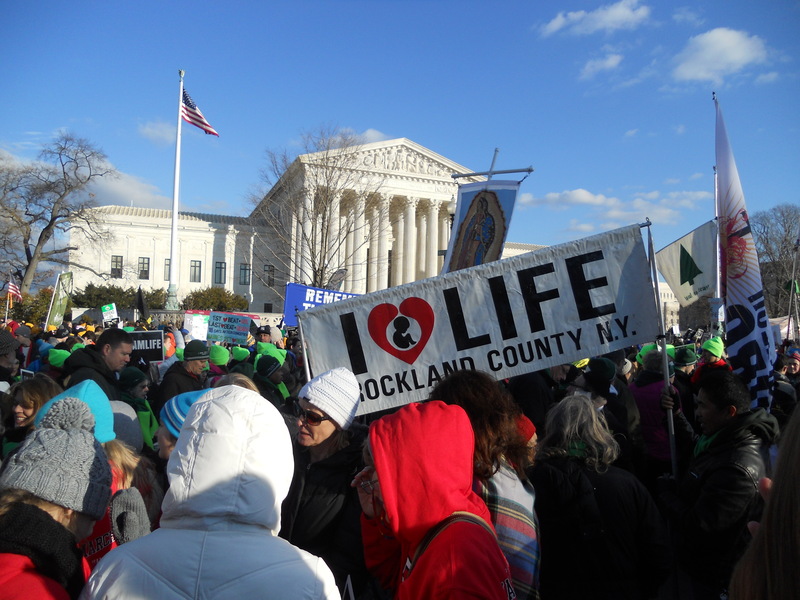 Among the thousands of men, women, teenagers, and children who marched together down Constitution Avenue, past the Capitol to the Supreme Court, were many from the Rockland prolife community, including those who came on two buses chartered by the Rockland Right to Life Committee. For those, the day began before dawn. Msgr. 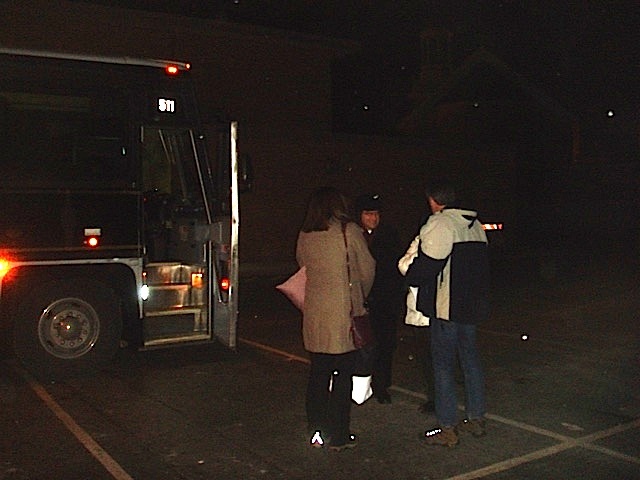 Joseph Giandurco, pastor of Sacred Heart Church in Suffern, greeted the marchers as they boarded the bus at the church parking lot at 5 a.m.
Next, the bus headed for St. Anthony’s Church in Nanuet, where another group was were waiting. Bus co-captains Eileen Peterson and Jim Dugandzic took attendance. And pastor of St. Anthony’s, Rev. 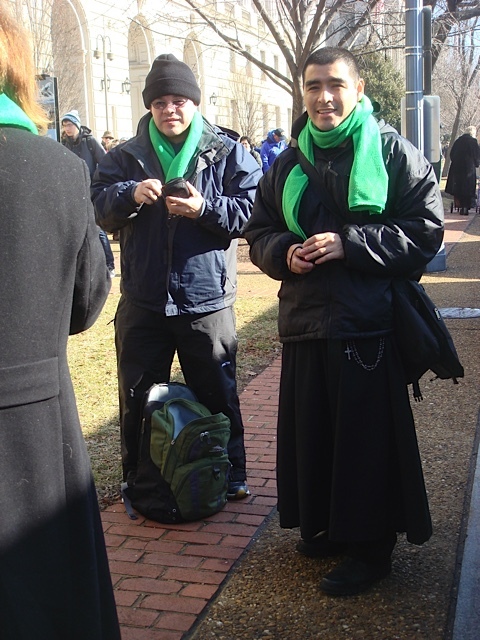 Jerry Deponai, spoke with the group about the importance of their mission and gave them a blessing for the journey. 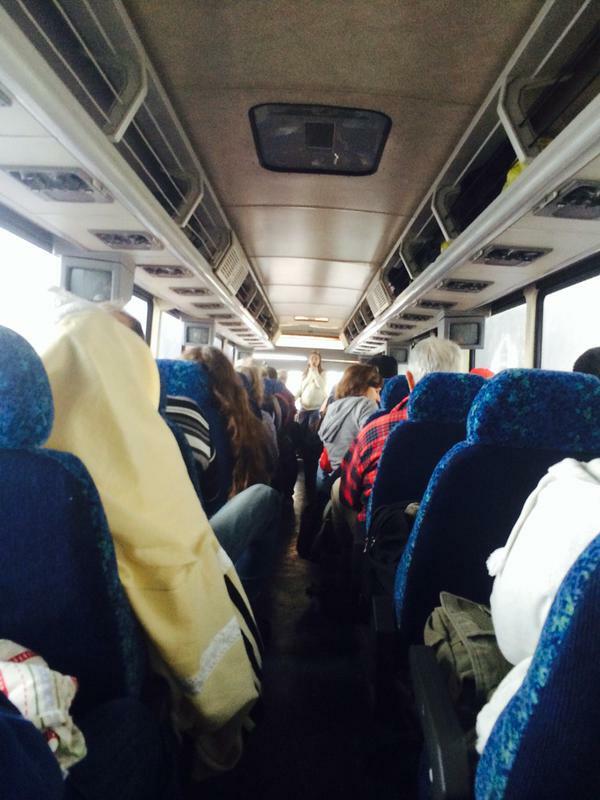 Daybreak found the buses heading south along the New Jersey Turnpike — and the marchers were singing, led by Eileen. 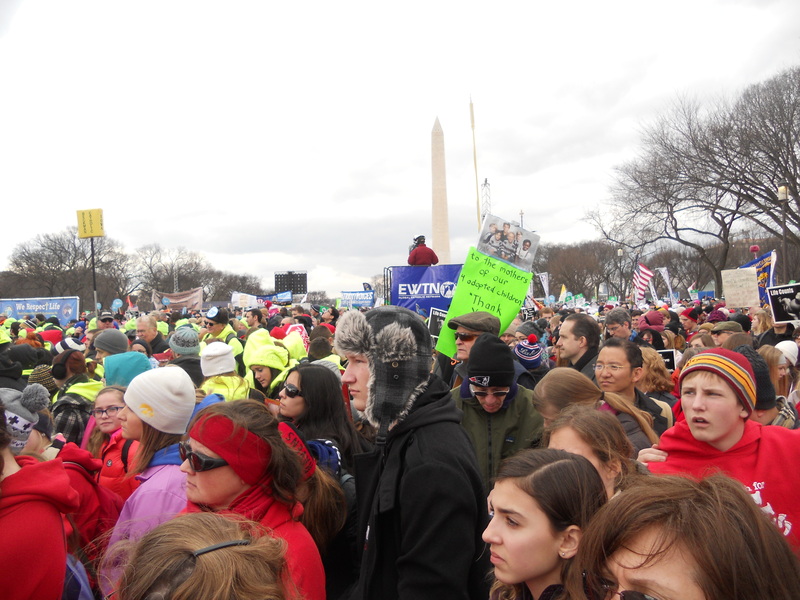 Shortly after 11 a.m, the Rockland marchers were in Washington, D.C., near the National Mall where the Rally that precedes the March takes place. 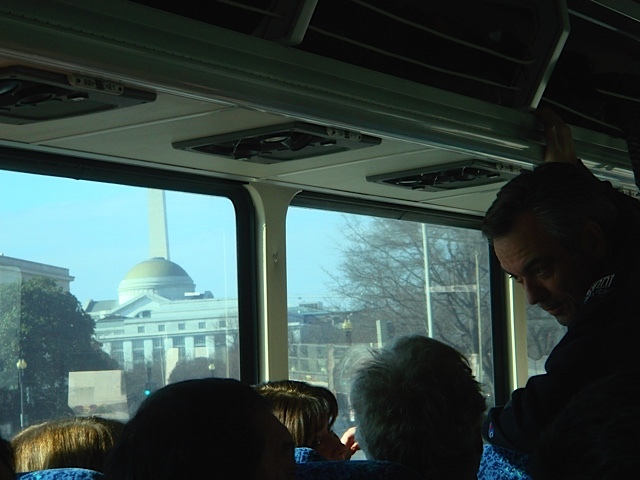 The Washington Monument could be seen outside the window. 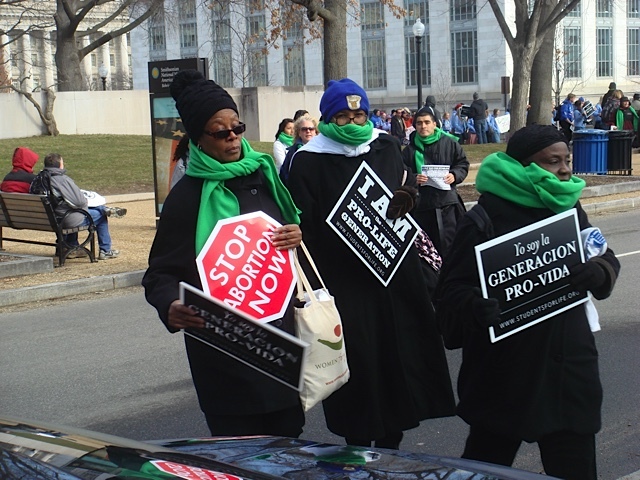 The temperature was great — in the upper 40s, and the sun was shining. 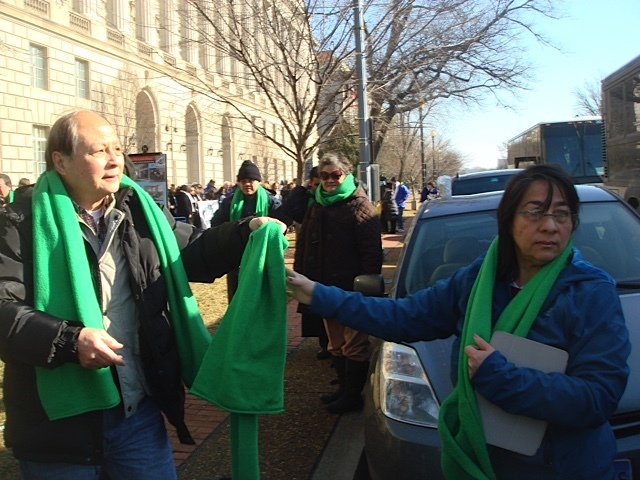 Everyone disembarked, and the green scarves that are worn by marchers from New York were distributed. 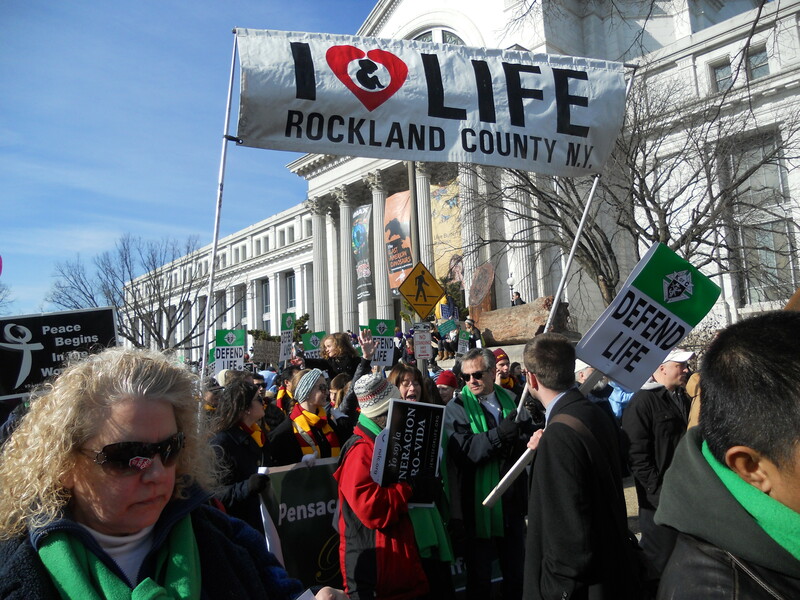 Then the Rockland County “I Love Life” banners were assembled and unfurled . 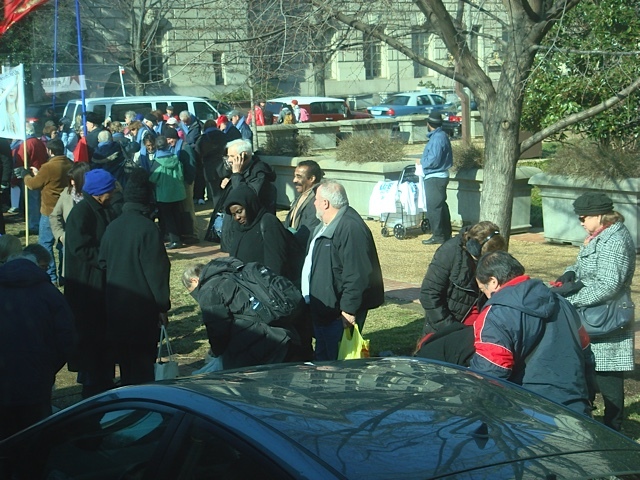 . .
Everyone posed for a quick group photo . . .
. . . and then headed to the National Mall where the Rally would be taking place. 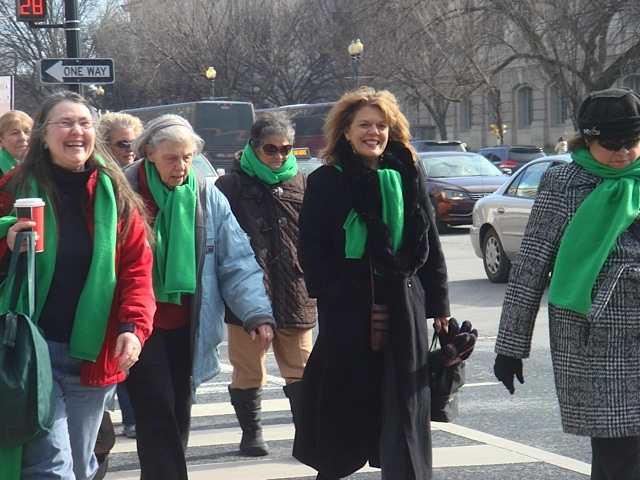 President of the March for Life Jeanne Monahan Mancini told the marchers that 1 million babies are aborted in the United States each year — one out of every five — and 90% of those diagnosed before birth with abnormalities. 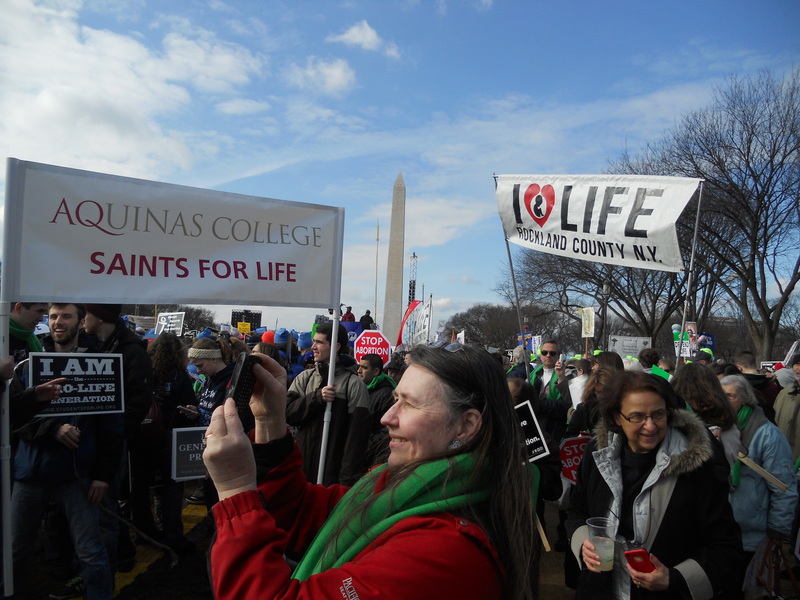 But Monahan also reminded the thousands who had assembled in the Mall of the theme of this year’s march,”Every Life is a Gift.” She said that each one us is also a gift to the world, with a unique, unrepeatable, mission. “Be who you are, and you will set the world on fire,” she encouraged the crowd, especially the youth people, who were there in great numbers. 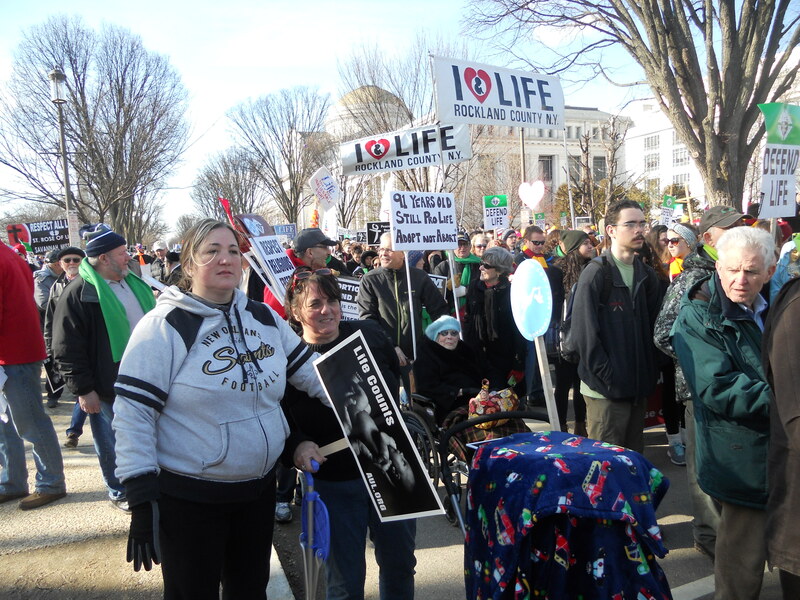 She urged them to always defend life and to use social media to spread the word. 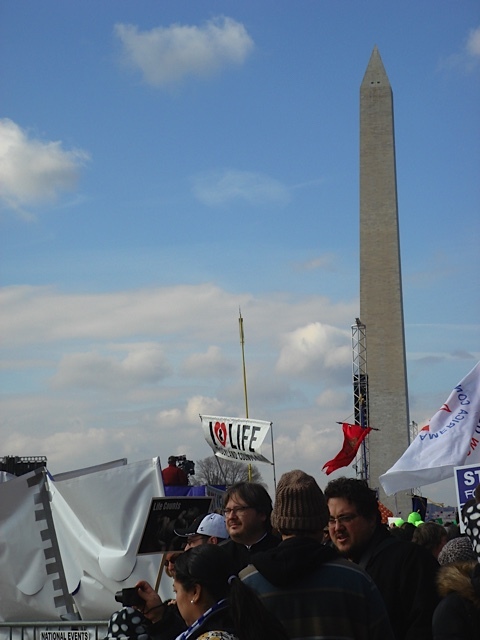 Many members of the bipartisan Congressional Prolife Caucus addressed the Rally, including Rep. Cathy McMorris Rodgers (R-Wash), who herself is the mother of a child with Down’s syndrome; Sen. Tim Scott (R-SC) who said Senate will work with the House as they pass legislation to protect human life; Rep. Dan Lipinski (D-Il) and Rep. Tom Reid (R-NY) who’s from the Finger Lakes region. 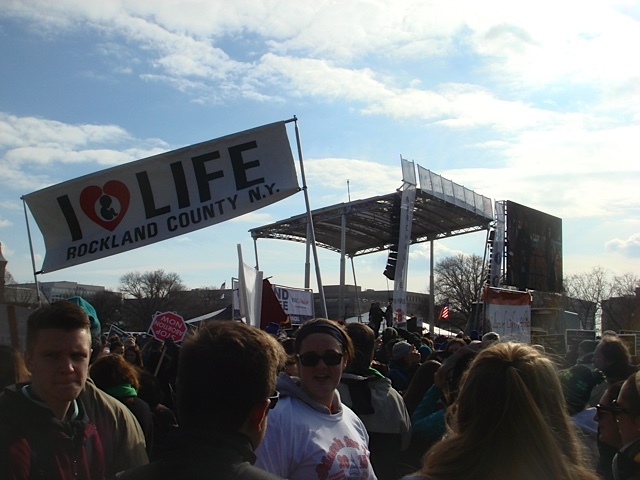 Among the hundreds of thousands at the Rally, somehow the groups from the two Rockland buses (which traveled separately) found each other. 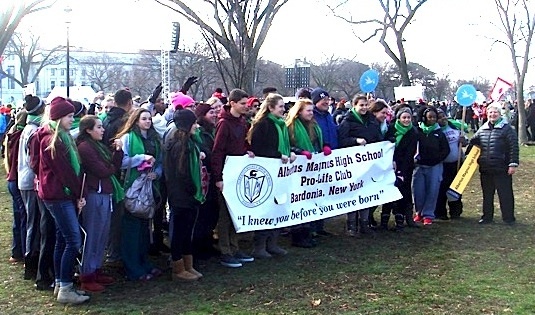 Here is Sr. Nancy Richter and the ProLife Club of Albertus Magnus High School, posing for their group picture. 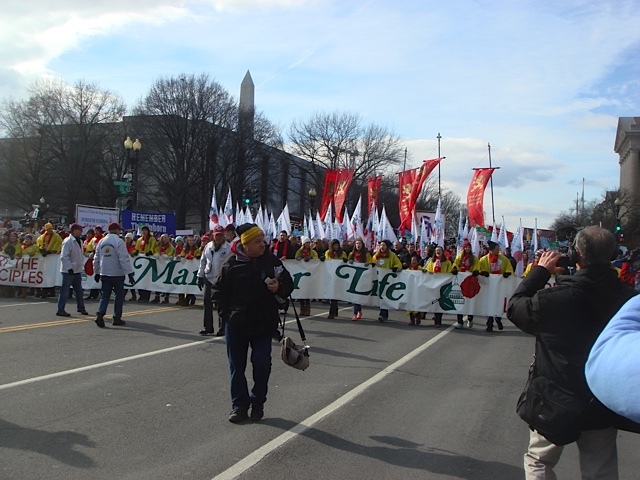 And then the March for Life began! 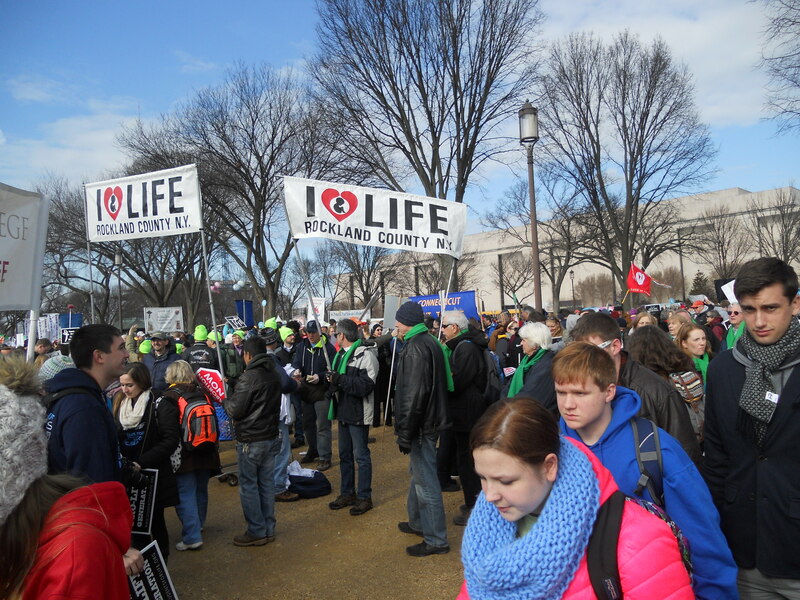 Over 200,000 defenders of Life, marching through our nation’s capital! 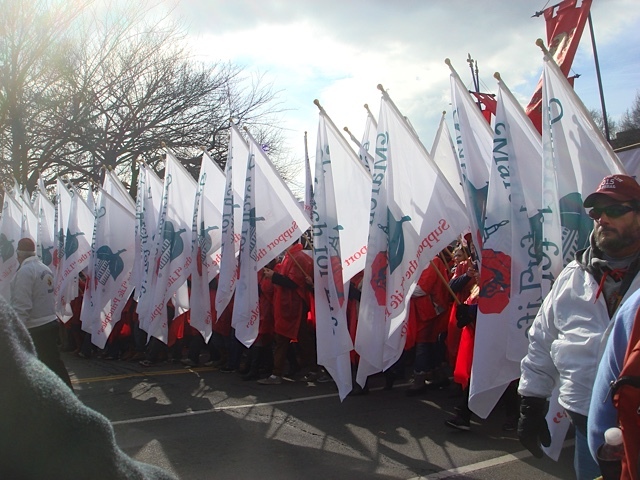 Along the march route, the Rocklanders met two other well-known groups from New York. 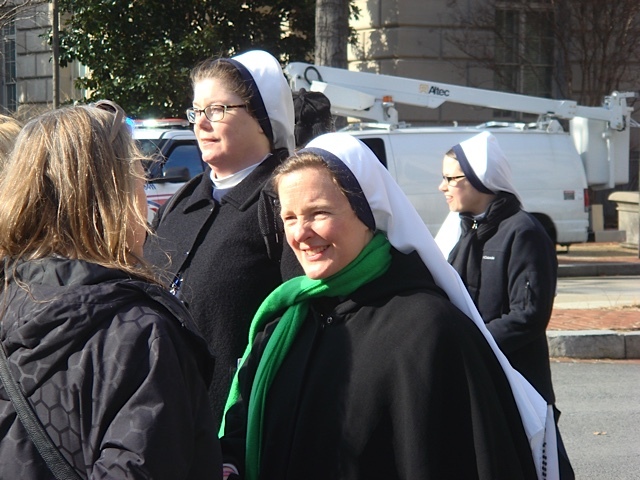 The Sisters of Life . 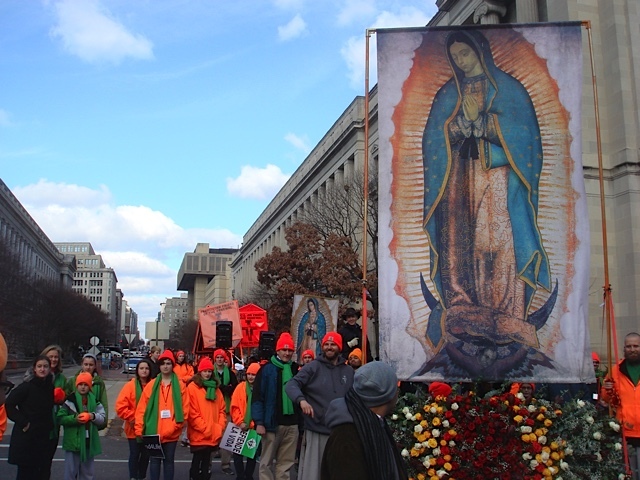 . .
And the Franciscan Friars of the Renewal, carrying the banner of Our Lady of Guadalupe, the Patroness of Life. And, finally, the Supreme Court! 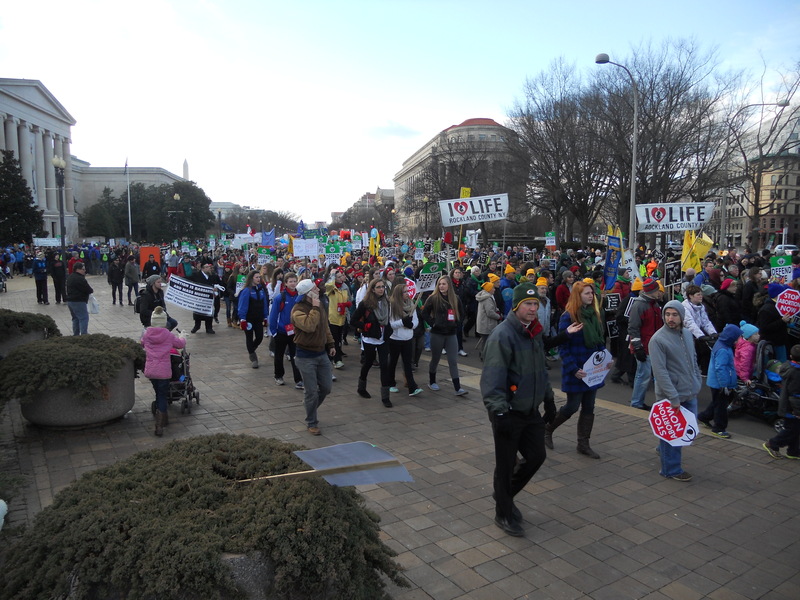 This is where the March for Life concludes — before the Supreme Court Building, the symbol of equal justice, under the law, for all — born and unborn. The Basilica of the National Shrine of Our Lady of the Immaculate Conception, where our marchers met their bus for the trip back to Rockland. 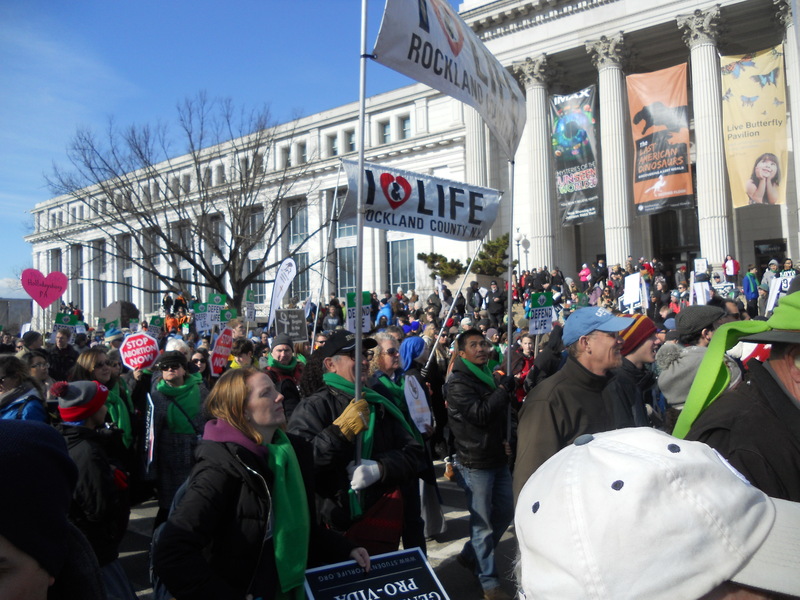 Thank you everyone for marching for life, for your passion, commitment, and enthusiasm. Now a new year of challenges begins, but we’ll never give up. 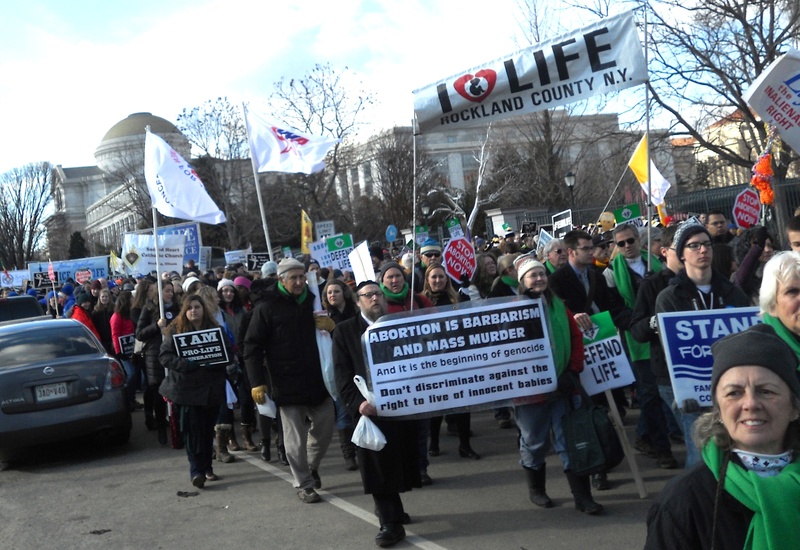 And we pray that one day there will be a true culture of life in our land — and then there will no no need to march again. 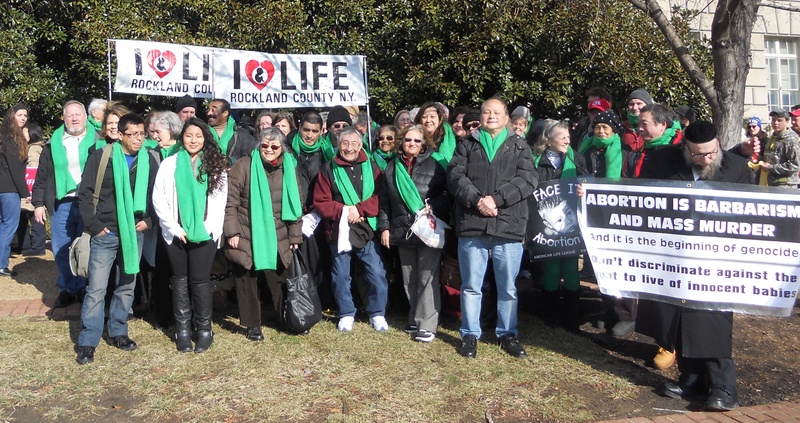 Rockland Right to Life would like to thank the photographers, who attended the March for Life and provided the images that appear in this article: John Ferrao, Francis Wong, and Joanne Clemente. 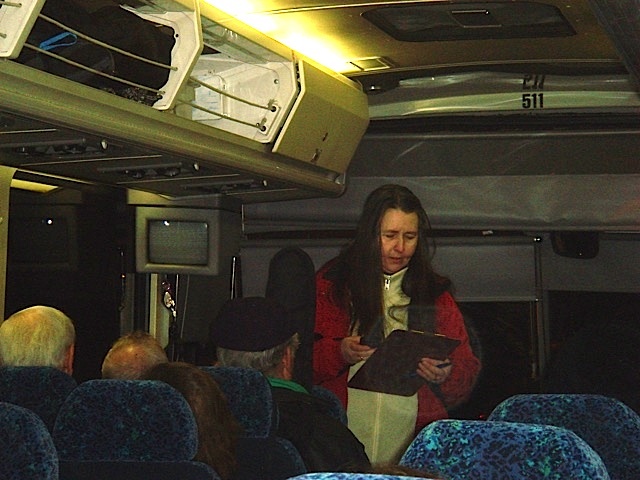 We also thank the bus captains, Eileen Peterson and Jim Dugandzic, the leaders who brought our marchers to Washington and safely home. 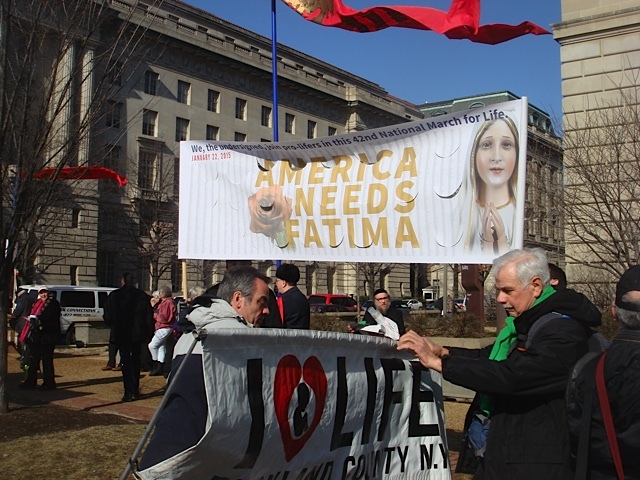 Thanks also to Msgr. 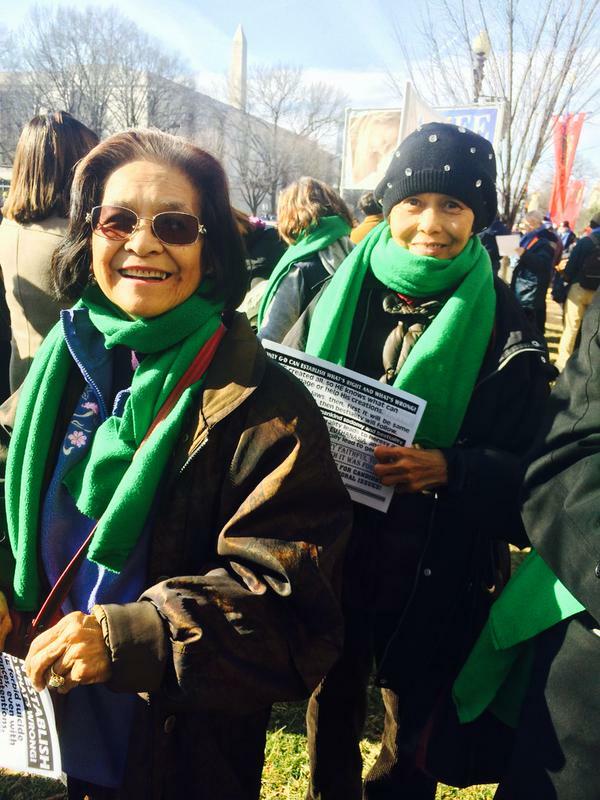 Giandurco and Father Jerry for your words to the marchers and blessings for the trip. 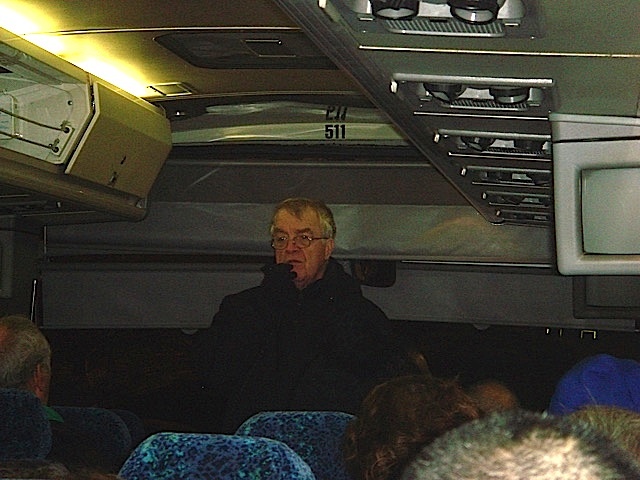 Thank you all who organized the trip and helped with the many, many details that go into promoting it and making it happen: Marie DiNapoli, Jeanmarie Grahn, Mary Loftus, Liz O’Brien, Eileen Peterson, John Rio, Spear Printing, and Ann Upton. And our deepest appreciation to our many generous supporters, whose donations made this trip possible. To enlarge a photo, click on it and then you can use the arrow to the right to advance thru the slide show.